Let’s empower the children and teens to pray. Young people need to be nurtured in prayer at home. 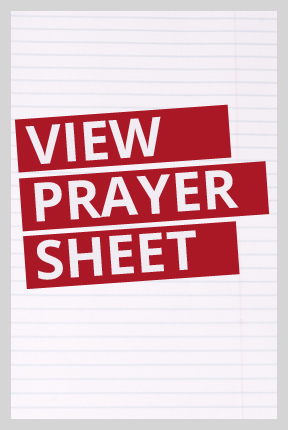 There are practical ways to train and equip children to pray. Start now teaching them to pray. As parents you should be modeling the life of parents for them. Kim Butts is the author of The Praying Family (Moody c 2002) provides very practical steps to teaching your child to pray. 1. Kids prayers are as important as adults. Let children know and see that God has an important work for them to do in prayer. He wants their prayers.Let them know that they can pray anytime, anywhere and about anything. 2.Telling God the truth- Teach children the importance of confessing sin with repentant hearts so their prayers will not be hindered. 3. Worship and adore God- Teach children the delight of honoring God and wanting to be in God’s presence. 4. 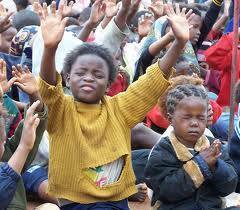 God is faithful and will answer their prayers- Teach children to pray in Jesus’ name and ask according to His will. Let them know answers may not be what they want,but the answers will always be what ‘s best for them /us. 5. Pray for the things that are on God’s heart.-Teach children to read and pray through God’s Word. It is a powerful way to begin learning what is on God’s heart. Kids can learn to pray like adults. Kim Butts author of The Praying Family gives these suggestions. 1. Invite kids to become prayer missionaries. Give them information about the missionaries the church supports or a missionary . Then allow the kids to pray for them. 2. Have the kids pray for the pastor and worship leaders before a meeting or worship service. 3. Match a child intercessor with an adult intercessor and ask the pair to pray before , during or following the worship service. 4. Make the church prayer meetings family friendly and intergenerational. 5. Give them a simple prayer assignments each week. Ask them to pray for you . 1. 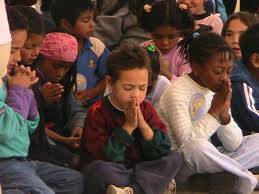 Give kids special prayer assignments. Give them an assignment to pray for the neighbors, a sick person, their school, for children in different countries. Ask for them to pray about certain events they may hear about. 2.Put maps on the wall and teach children to pray for unreached people groups and the children of the world. 3. Encourage children to pray at home, praying before leaving for school, day care, or to spend the day with a babysitter, can help children of all ages start the day off right. 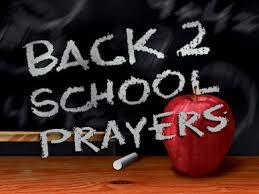 This is a great time to pray for teachers, friends, and for help with classes or peer relationships. • Thumb: Say a prayer for those closest to you. • Pointer: Say a prayer for school teachers and Sunday School teachers. • Middle: Say a prayer for the president. • Ring: Say a prayer for the sick. • Pinky: Say a prayer for yourself. 5. Start a prayer group that meets regularly to teach about and practice prayer. This is a way to train older children and teens. 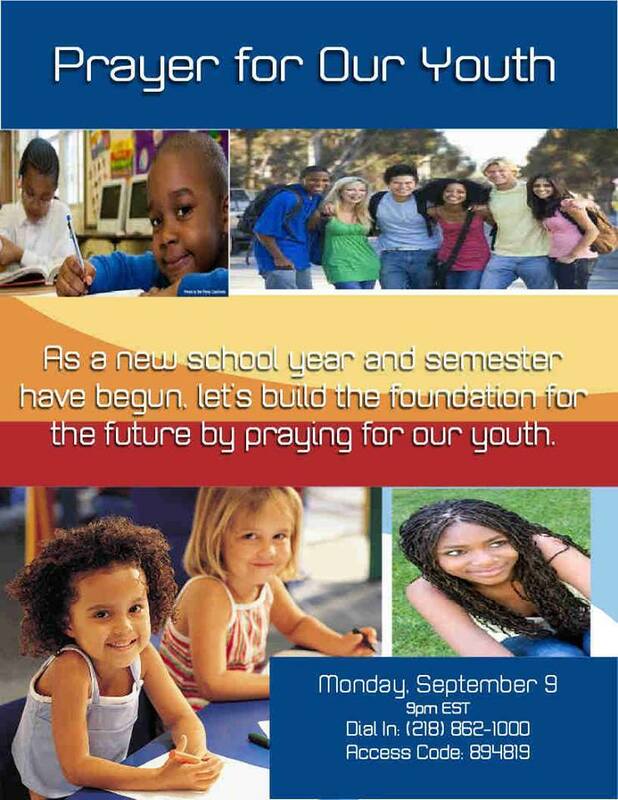 On September 9, 2013 Minister Teraleen Campbell called for a prayer conference call to pray for our children which included babies through 6th grade, middle school children, high school students and college students. We also prayed for parents. I was assigned to pray for high school students. It was powerful . 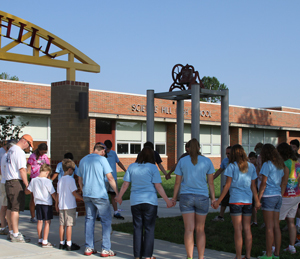 Last week, the first week of September ,I began calling for united prayer for our school children and their schools. In Part I and Part II of Back 2 School Prayers specific prayer points to guide you in praying for your school children, teachers and administrators were provided on this blog. Pray over your children daily. I challenge you to write the child’s first name and/or school place it below or send or to inbox me on facebook. As a result I decided to put together a Back 2 School Prayer Sheet. Praise—Praising God for who He is, His attributes, His name or His character. Confession—Silently confessing your sins to the God who forgives. Thanksgiving—Thanking God for the fruit of our wombs. We thank God that our children are a hertiage of the Lord. Intercession—Coming to God in prayer on behalf of others’ children , our children, the teachers and the schools. We need to continually uplift the entire educational system and all those involved in it which includes our teachers and administrators. We need teachers who are committed to effectively teaching our children. There is no doubt there are some committed excellent teachers. Schools must be safe for teachers as well as students. In 2011 a student hit a teacher in the back with a stapler, hid in a closet and started hitting the teacher in the chest when the teacher opened the closet door. On the other hand we must guard against negative attitudes of teachers that adversly affects how and what they teach children. We cannot tolerate teachers such as Jennifer O’ Brien who made negative remarks about a group of largely Black and Hispanic first graders when she complained that she was a “warden for future criminal’s”. Our children are worthy of respect and are entitled to the best education they can possibly obtain in a positive and nurturing enviroment. 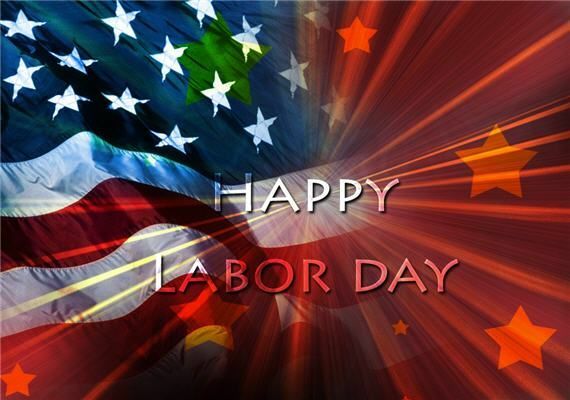 The September 2, 2013, Labor Day holiday will be celebrated by families around the country with picnics, barbecues, and road trips. Working families in hundreds of towns and cities will honor workers and the work they do. 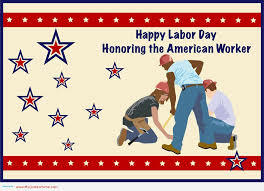 I’m going to march in the Labor Day Paradein the city of Detroit to show support for laborers. Due to the fiscal distress of municipalities and politics, many areas of the country have seen challenges and changes to the public employment workplace culture and unions. Many of the affairs of municipalities in fiscal distress have endured governing authorities appointing emergency managers who union leaders consider anti-worker and anti union contracts because emergency managers can change or suspend contracts and privatize work that union laborers once performed. Governor Snyeder has appointed Attorney Orr Emergency Manager over he City of Detroit. Emergency Manager Orr has filed for Bankruptcy for the City of Detroit. Retirees and labors now fret about what is going to happen to their pensions and benefits. 8. Pray for the protection of the pensions and benefits of retirees and those in the labor force in the City of Detroit and around the nation. Lord protect the fruit of their labor.